Make sure you take advantage of GLS's fantastic cultural program. 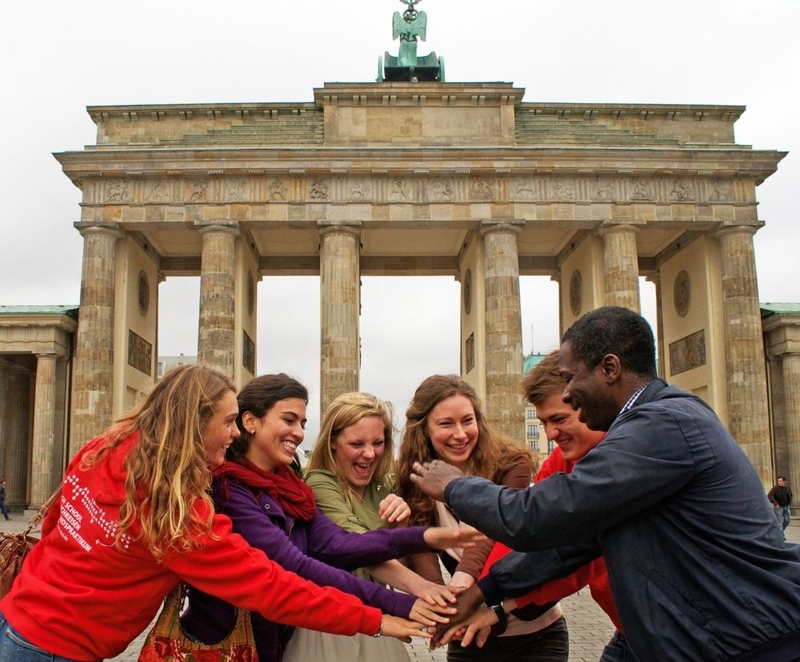 It's the best way to put your newly learned language into practice, make new friends, and of course...discover Berlin! 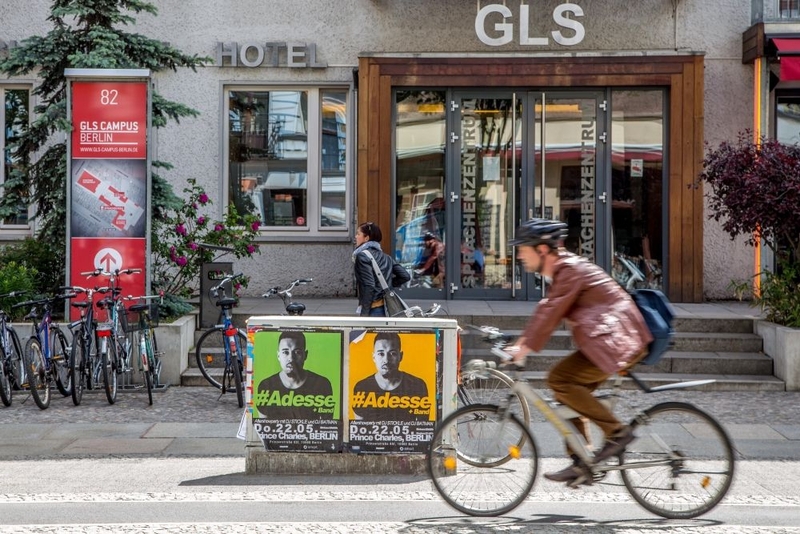 GLS's slogan 'where interesting people meet' is no empty promise... Every year more than 5000 students of all ages and backgrounds come to GLS Berlin to learn German, make friends and discover the amazing city of Berlin. 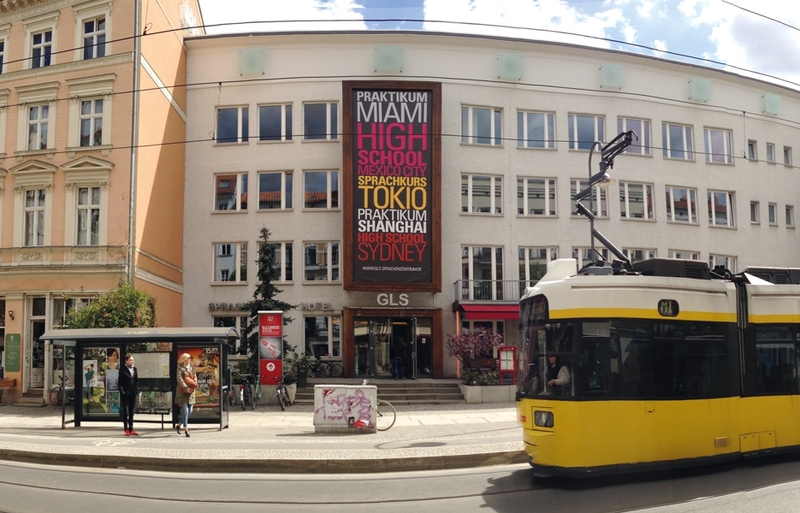 GLS offers all language levels from total beginner to advanced (A1.1 to C2) with new classes starting every Monday. Class sizes are kept small with a maximum class size of 12. This ensures that you get enough valuable teacher attention. 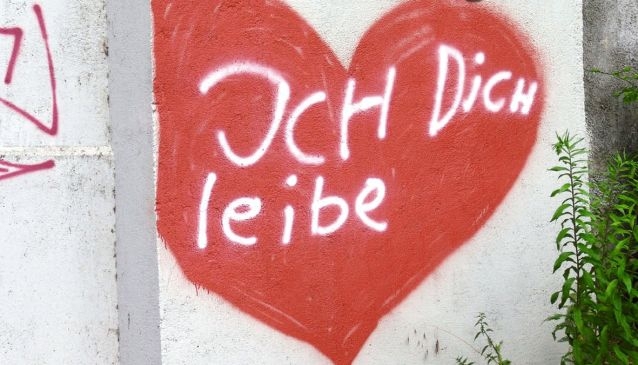 Using the communicative approach, the only language spoken during class is German, with a focus on active speaking. 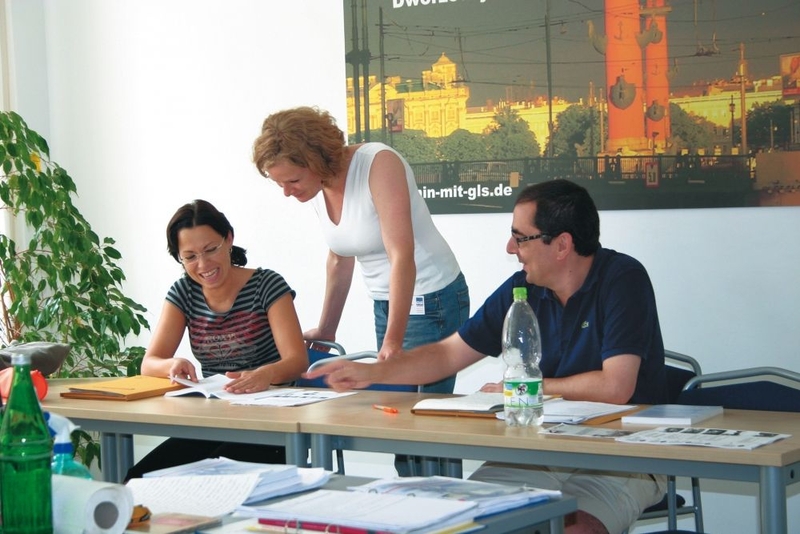 GLS also offer Business German courses, along with exam preparation for the Goethe tests as well as Test DaF - visit their website for more information. 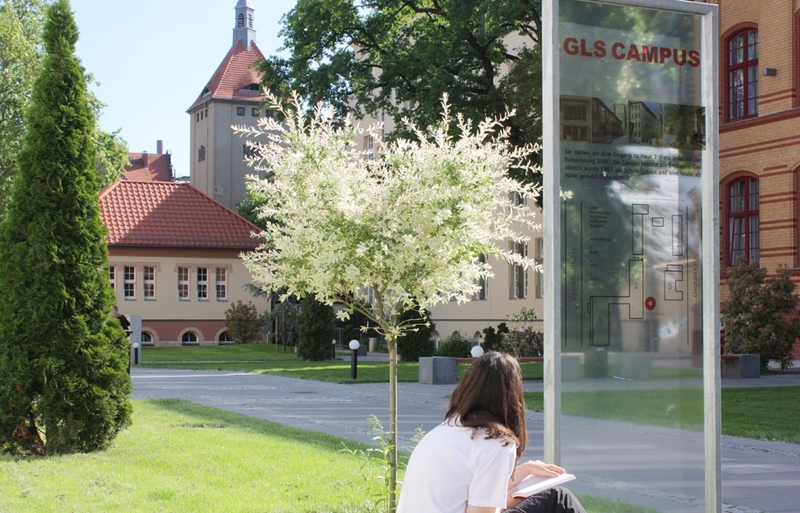 During summer, GLS also offer classes exclusivly for people over thirty, a great option for more mature students who would prefer a class with similar aged students. 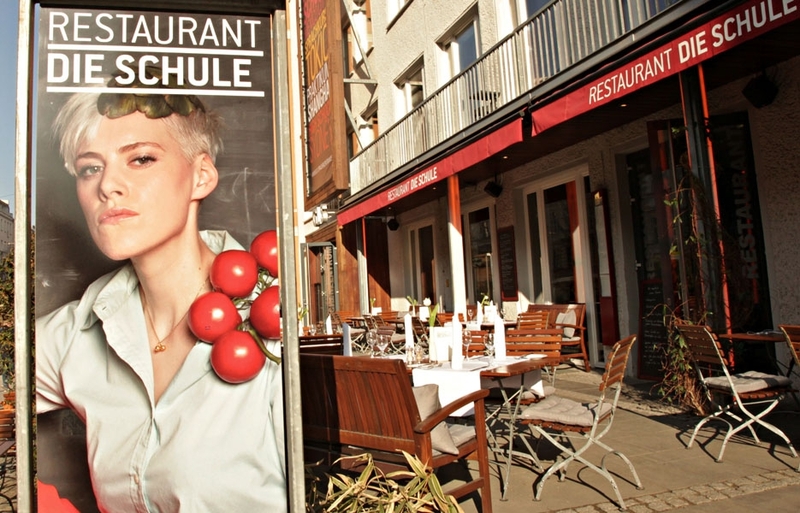 GLS is located on Kastanienalle in Berlin's coolest district, Prenzlauer Berg. 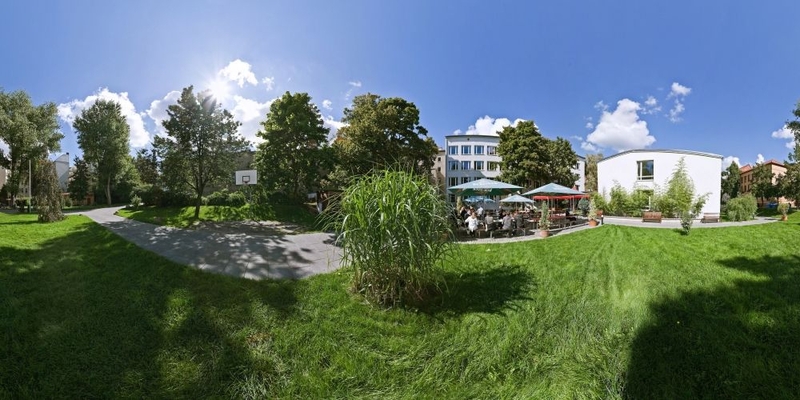 On the doorstep are countless awesome cafes, bars, and shops ensuring you will never be bored during your free time. 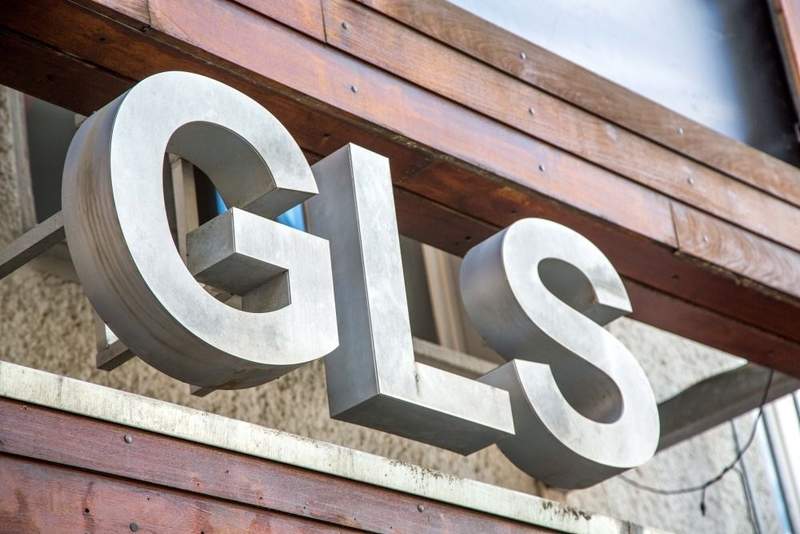 GLS offer a huge range of different accommodation options including hotel, furnished apartments, shared flats and guest families. 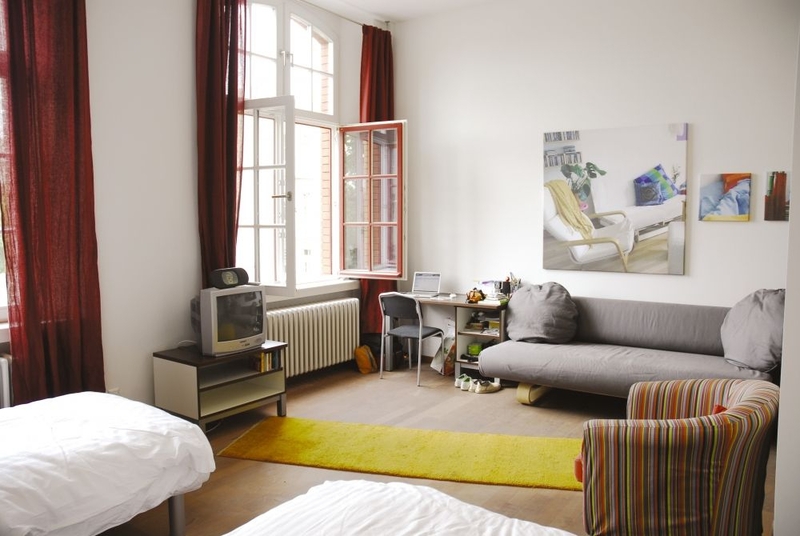 One of the highlights though, has to be the studio apartments located right on campus across the green courtyard garden. 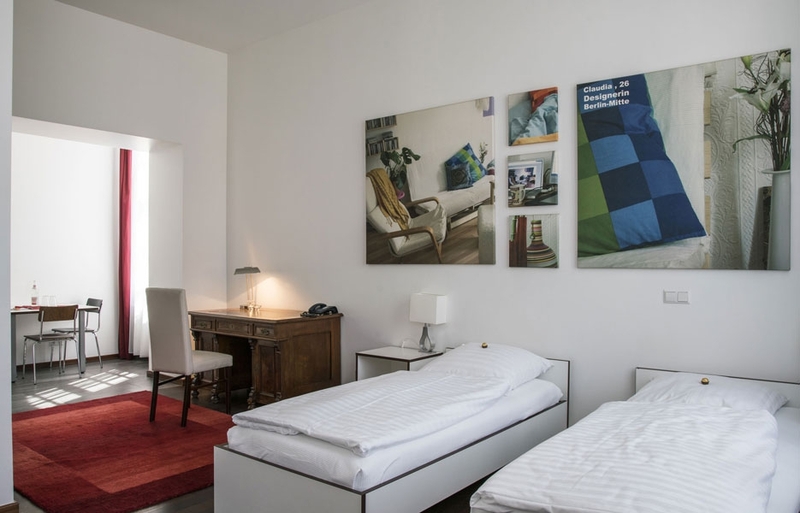 The apartments have all the facilities you need including kitchen, bathroom, wifi, TV and telefphone, linen and towels. 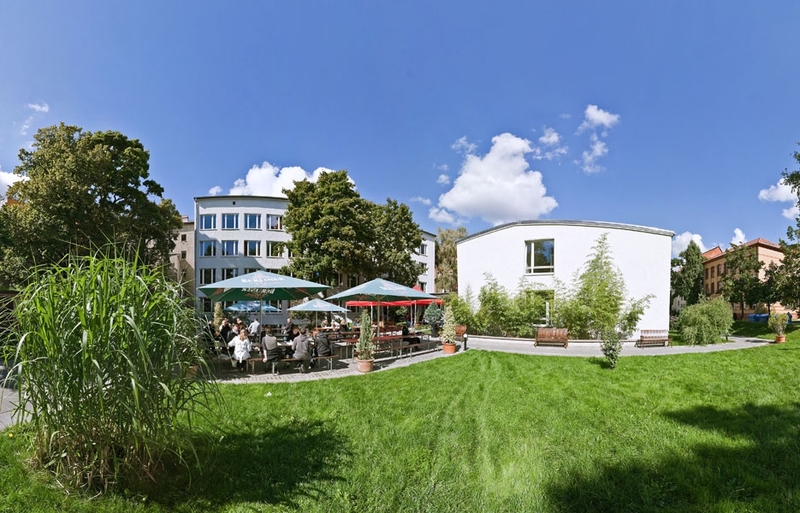 Visit the website of Hotel die Schule for more information. 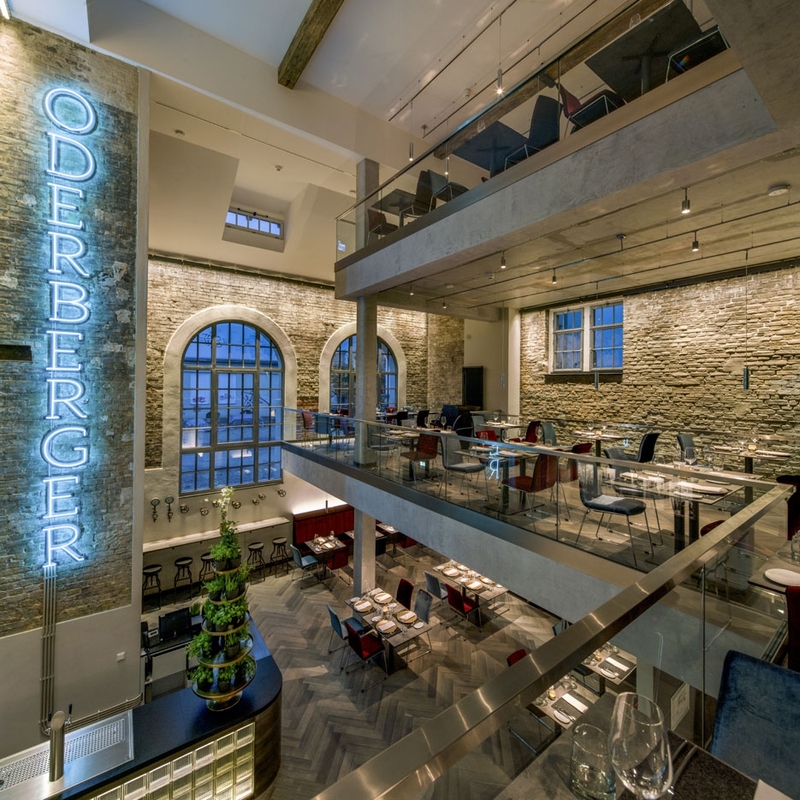 For short stays, their newly opened Hotel Oderberger is also a fantastic accomodation option - built in the former city baths, the Hotel rooms incorporate many of the original fittings and fixture, creating a perfect blend of classic and modern, a must for anyone interesting in history or architecture. In order to get the most out of your language course we recommend taking full advantage of GLS's great cultural program. 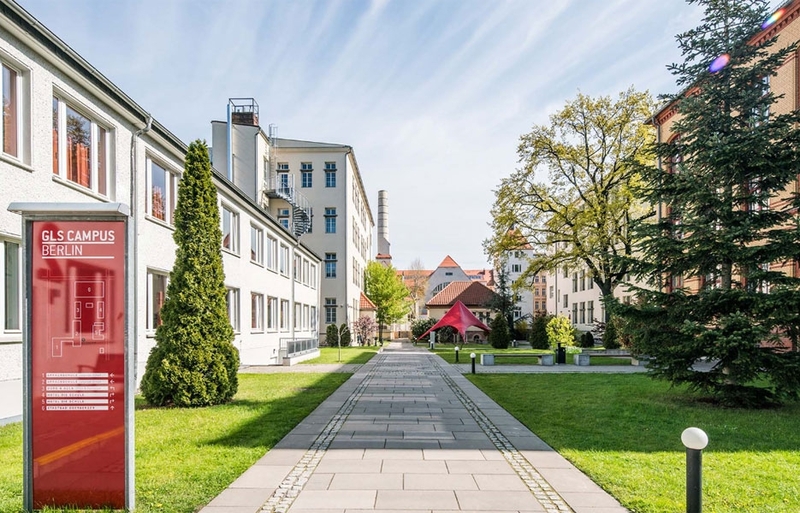 They run a minimum of 3 activities per week including film nights, pub nights, museum visits, city tours and day trips to neighbouring towns like Potsdam, Leipzig and Dresden. These activities are a great way of putting your newly learned language into practice as well as visiting some interesting places! 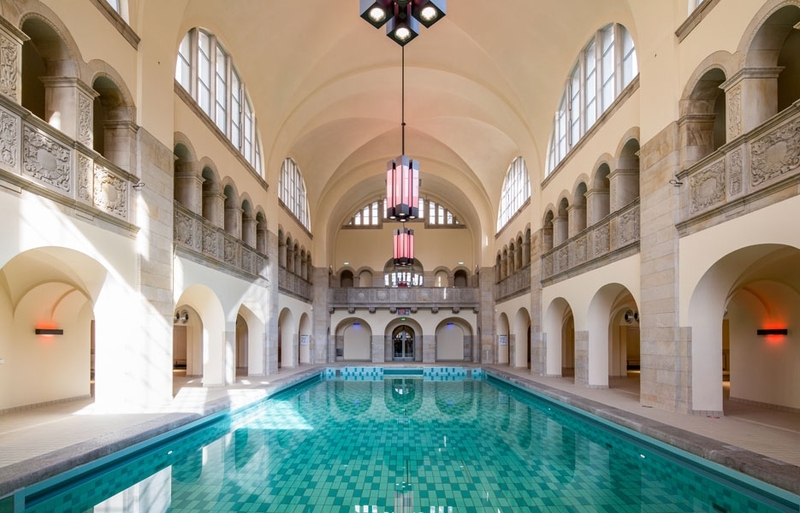 Every Friday, the activities for the following week are posted online here. Every week teachers also run afternoon seminars in their chosen fields of interest including art, history, and literature. 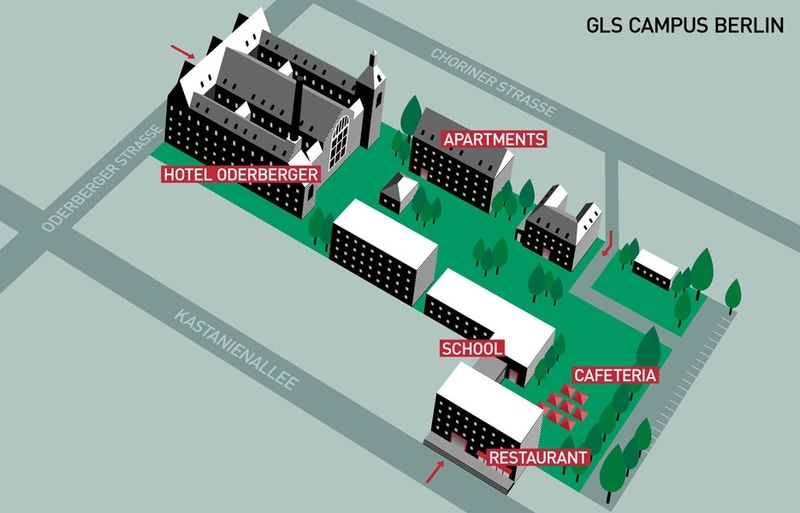 GLS's facilities are the best we have seen of any language school in Berlin. 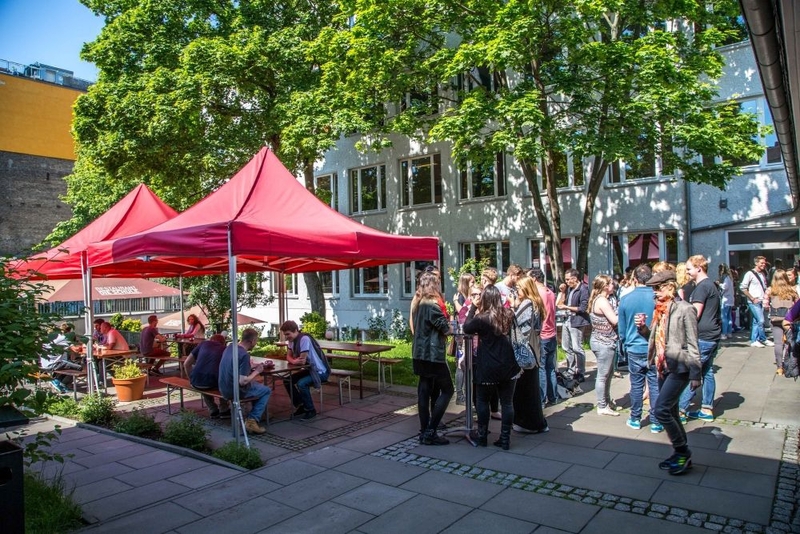 They have a cafeteria selling decent priced meals with ample seating, both indoors and out, but if you are looking for something a little fancier, check out Restaurant die Schule, or Restaurant Oderberger, the two on-campus restaurants where students can enjoy a 10% discount. 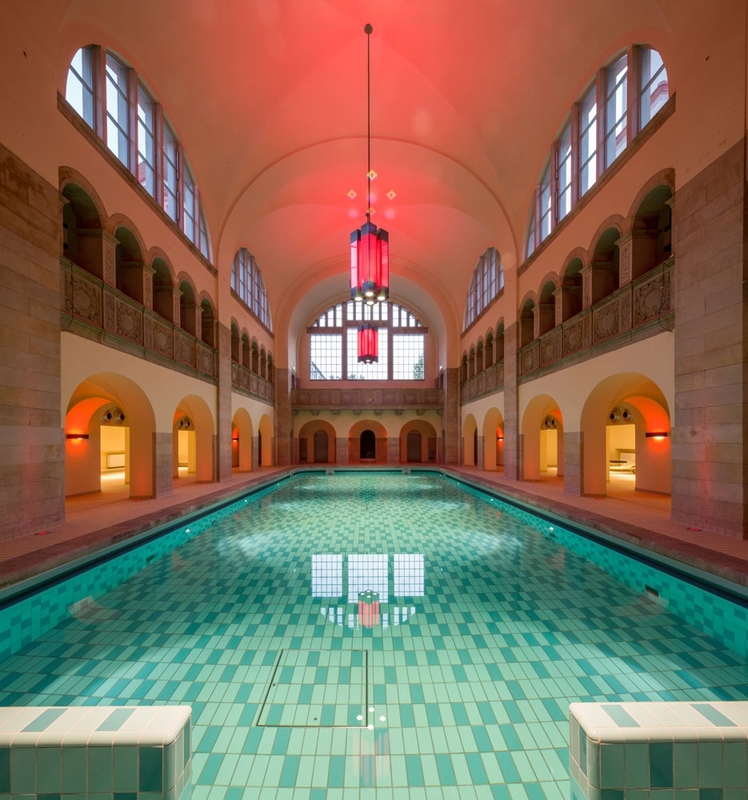 One absolute highlight is the on campus Pool in the newly renovated Hotel Oderberger, in the former historic city baths built in 1902. 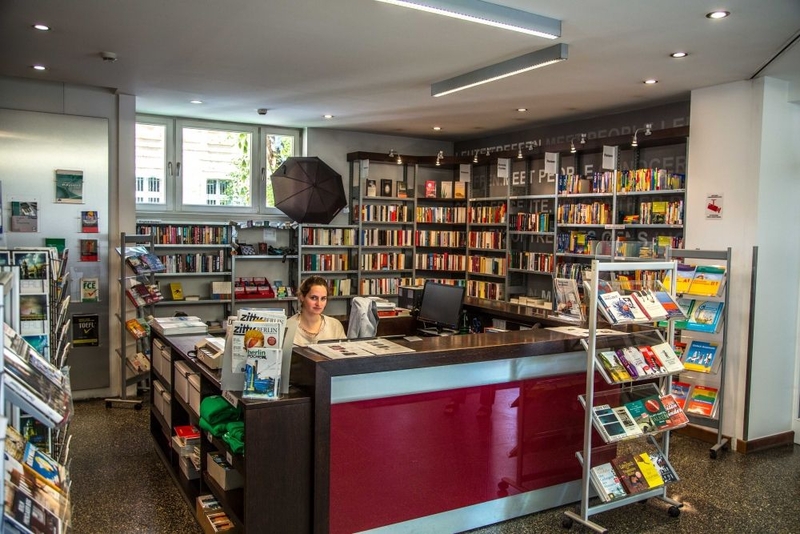 At the library and bookshop you can get everything from short stories to text books and grammar exercises, they even have a stationary section for those days when you forget your pen! 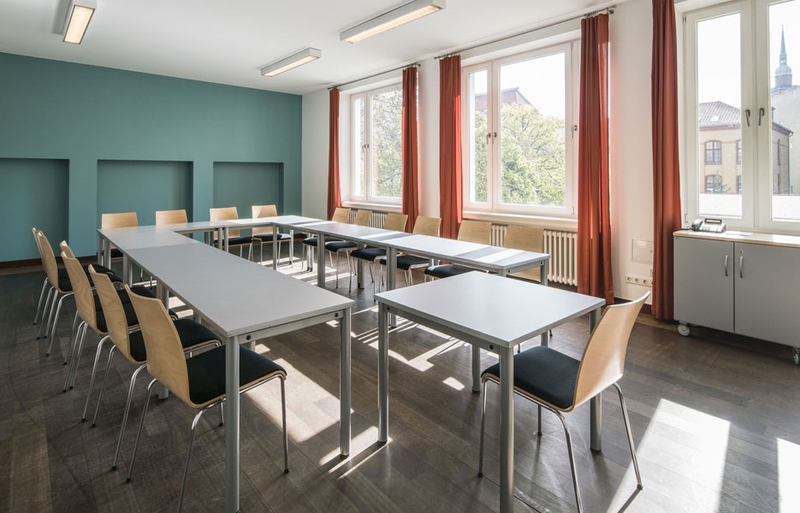 Classrooms are generously sized, with large windows and heaps of natural light and nearly every classroom is equipped with a smart board - a state of the art piece of modern teaching technology. 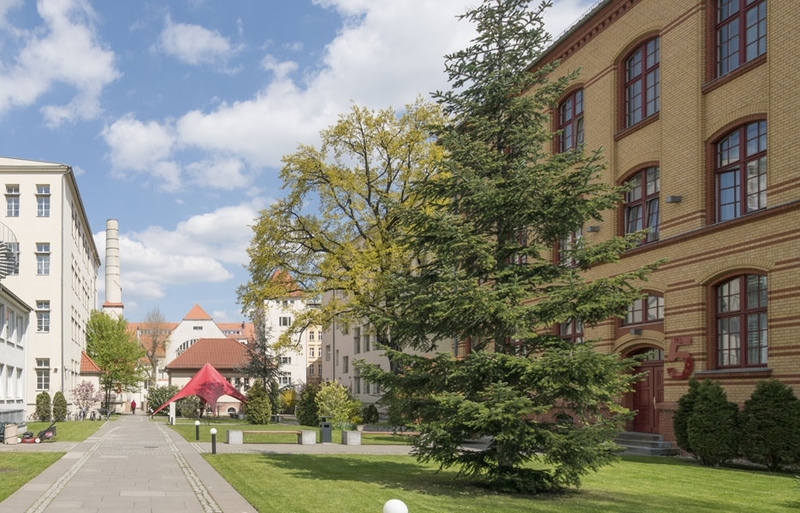 GLS have repeatedly received the Star School Germany award bestowed every year by the Study Travel Magazine to one German language school and are also accredited by International House and Eaquals. Prices start at 640 € for their 4 week standard course comprising 20 lessons per week, with classes from Monday to Friday. They have a sliding price scale, meaning the longer you study, the cheaper the weekly rate becomes. 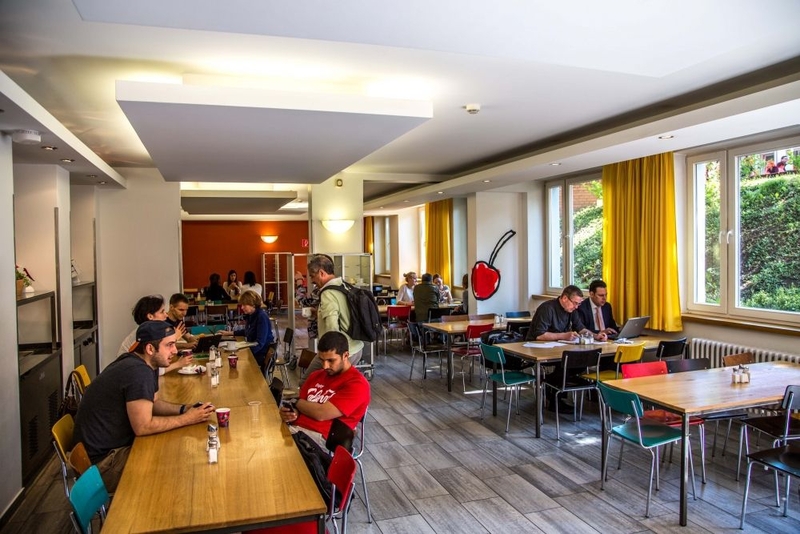 If you are looking for something more intensive you should check out their Intensive course where, in addition to the standard course, you will receive 10 extra hours per week in small groups of 3-6 students. This intensive option costs 1160 € for 4 weeks. Click on the link above to GLS's website for more pricing information. GLS also offer individual tuition with prices starting at 45 € per hour, getting cheaper the more hours you book. Booking is easy - just click on the link above to visit their website and fill out a quick form. If you need help choosing a course you can contact them via email through the enquiries button or call them on the number above.